I realize that this photo is kind of dark, but shooting this in the early evening was the only way I could ensure that the lighted garlands would be noticeable. The Bell house has finally dressed up for the holidays. Only those who drive less than twenty miles an hour down my street have a chance of noticing this display. 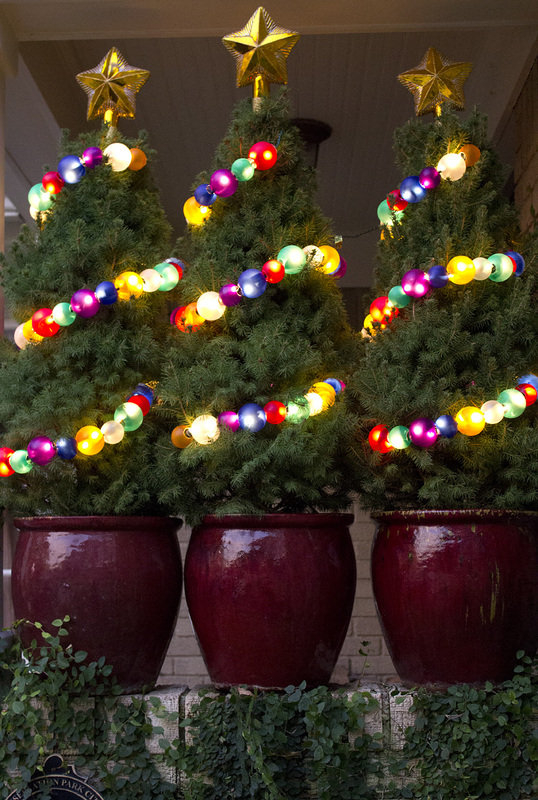 With tough competition in this neighborhood, my three overdressed fir trees will have a hard time impressing folks. Once the Christmas season has passed and the ornaments have been removed, my firs will continue to dress up my front porch until late spring next year.